Original Cover Art - 11th August 1984- BLOOD FOR THE BARON!!! Probably owned by Joe Colquhoun's family and scanned by Moose Harris for the Titan "Charley's War" editions. Went up for auction last August. 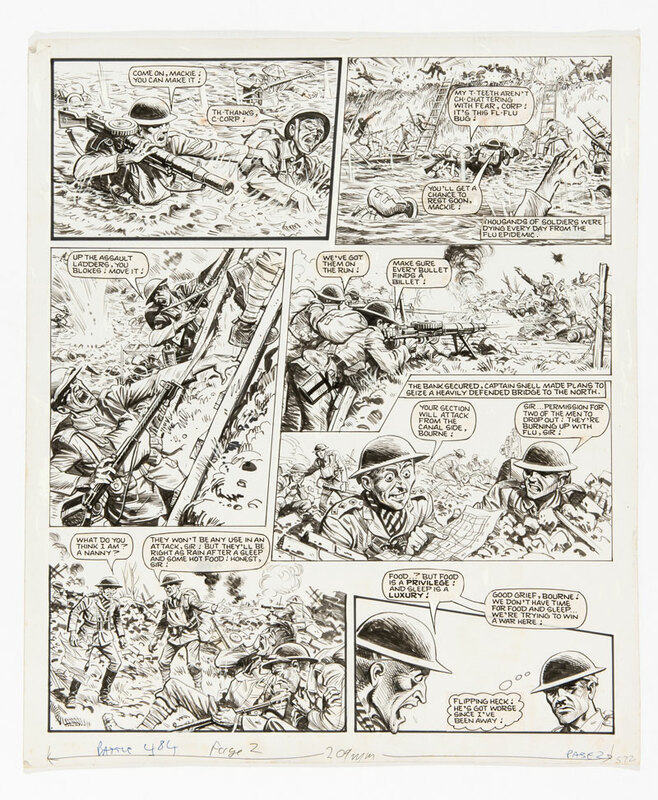 The latest ComPal comic auction catalogue and features “Charley’s War” art, a promotional Eagle rarity and much more among some 385 lots in total, including US comics. 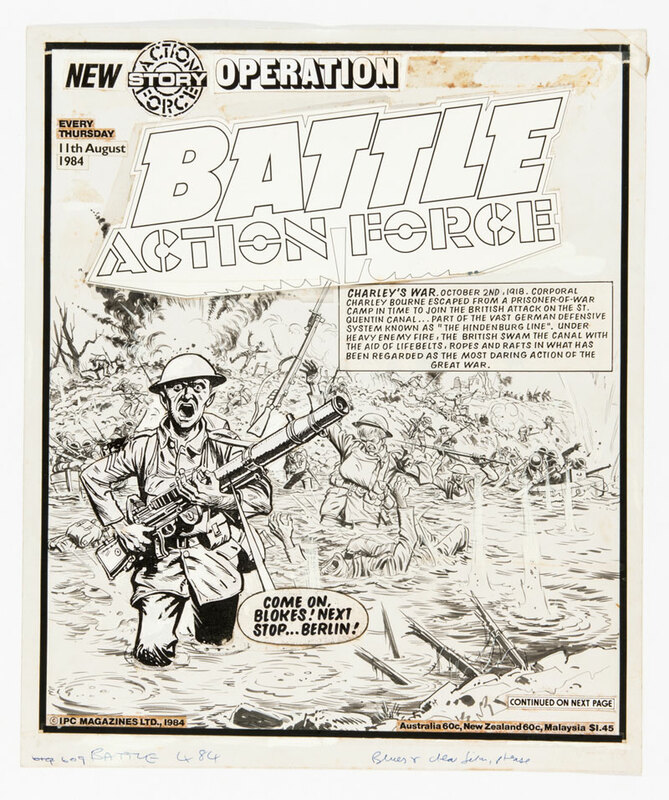 Charley’s War original front cover artwork (1984) by Joe Colquhoun for Battle 484, cover dated 11th August 1984. Dated “October 2nd 1918”, Corporal Charley Bourne has escaped from a POW camp to join the British attack on the St Quentin canal. Under heavy enemy fire the British swam the canal with the aid of lifebelts, ropes and rafts in what has been regarded as the most daring action of the Great War. 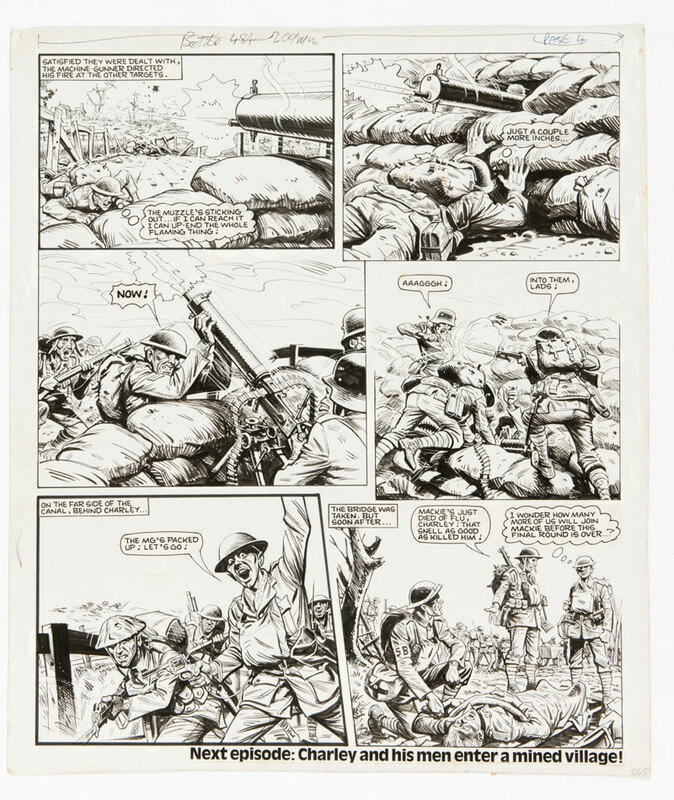 Charley’s War original artwork (1984) by Joe Colquhoun for Battle 484. Charley stalks and captures a German machine gun post and his men take the bridge in the fourth page of this “Charley’s War” episode – but some are dying from influenza.